Roosebeck 18 x 3.5 Inch Bodhrán Cross Bar Tunable Celtic Cross + Tipper + Wrench + Tipper Cipin & Wrench. Roosebeck Tunable Sheesham Bodhrán Cross-Bar 18 x 3.5" Celtic Cross. 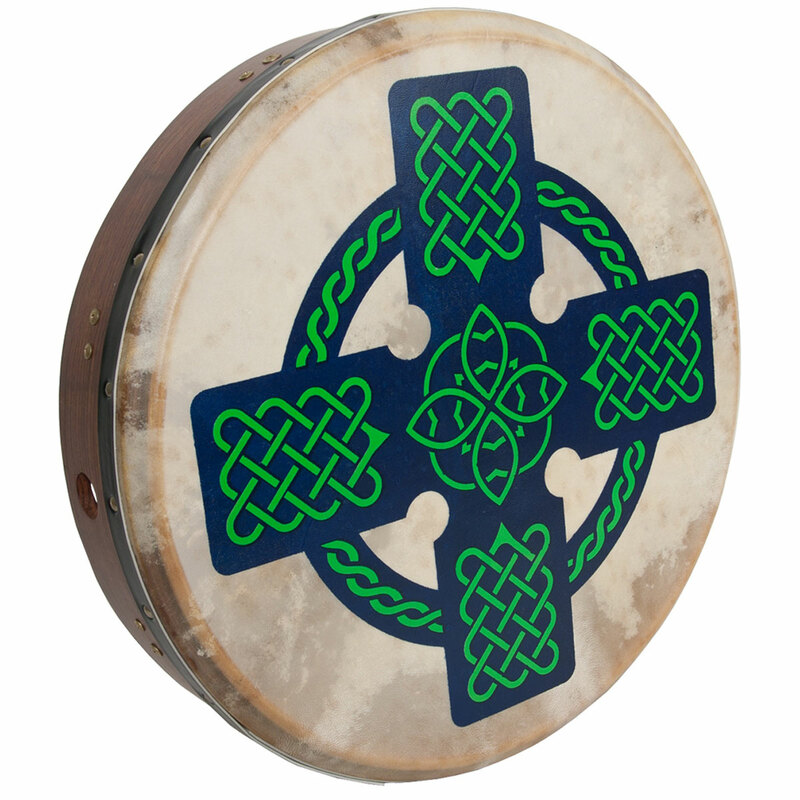 The Celtic Cross design adds a beautiful touch to our most popular bodhrán. This bodhrán has an 18 x 3.5" inch sheesham frame with a fixed crossbar for support. The bolt tuning is hidden on the inside of the frame. You will love the sound of the natural goatskin head. Easy and fun to play. The enclosed product insert will give you the basics to get started. Includes a Tipper Cipin and a tuning wrench.